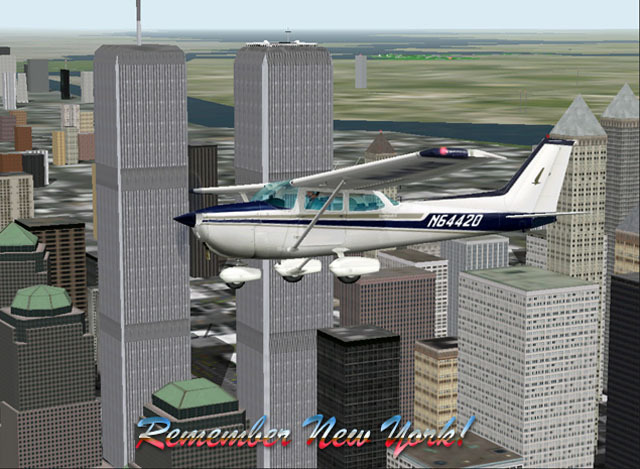 > FS2000 > Remember New York! Cessna 172 Skyhawk II purchased from carenado.com flying over the WTC in New York. Text added by Myself (otherwise unretouched screenshot).